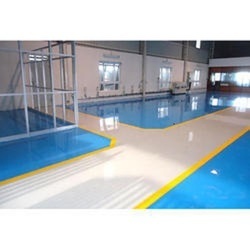 Weare involved in providing Antistatic Epoxy Flooring Services. The Antistatic (ESD) flooring specially formulated to disperse static electricity ensuring that all charges are earthed in sensitive environments. Epoxy flooring coating protects sensitive electronics part from the effect static charges by dissipating them away. The service is provided with the help of expert and trained staff and the best quality raw material meeting national and international standards. The quality service is provided in the shortest possible time and competitive price. Prevents explosions due to sparks by accumulated static electricity by conducting it away. Avoids error in reading recorded by sensitive electronic instruments monitoring vital parameters. 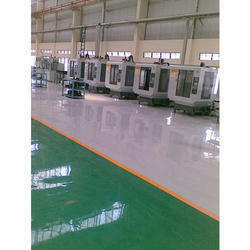 We Grafiti Constrotech are Leading Service Provider Of ESD Flooring. If you are looking for a flooring solution that deals with static ,we can give you the solution. ESD Flooring prevent a person from building up a charge as they walk across the floor so they do not get a shock when they touch something that conducts electricity. ESD is a much more robust solution because it is actually earthed. You will need an ESD floor if you are manufacturing, repairing, servicing, handling or using equipment that is susceptible to damage from electro-static discharge, typical sectors would include the manufacture of components for the electronics industry, aviation, automotive, IT, medical, oil and gas, telecoms and IT for example. Looking for Anti Static Epoxy Flooring Service ?